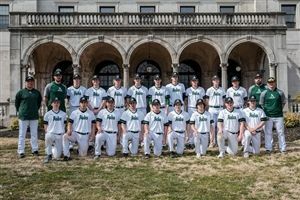 The Archmere baseball team defeated St. Elizabeth 6-3 on March 30th at Frawley Stadium. The Auks, now 2-1, picked up momentum in the second inning, scoring two runs before adding two more in the third. They added two insurance runs in the sixth on a Mike Dellose '19 triple to deep right field, solidifying the win in the big stadium. Tommy Alexander '19 had two hits and two runs for the Auks, while Mike Dellose '19 also drive in a pair. Danny Storm '21 pitched four strong innings. They will face top-ranked St. Mark’s on the road Tuesday at 4 p.m.